Q. What about the rubbish that is left? A. 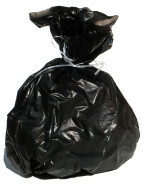 We will help you to find the best solution to get rid of your rubbish. As we work we will sort rubbish and recyling into the appropriate bag/container ready for disposal by the council in their regular collections. If you do not have transport to the local recycling centre or tip, many councils offer a specific collection service for a reasonable rate. Of course, if you have a large quantity of rubbish you can always arrange a skip or 'hippo' bag. For goods that still have use, some charities will collect, but every area is different.